Welcome to Sadguru Engineering Works, Offer Industrial Machines and Allied Services. The Company was established in 2005, at Nagpur. Our Stringent quality checks and Sound infrastructure facilities make us different from others. Dimensional accurate products and large production capacity help us to serve Clientele like Haldiram Goods Limited. Pre-Engineered Building, Roofing and Claddings are some of our products and services. We offer an extensive array of Pre-Engineered Building, Roofing and Claddings. 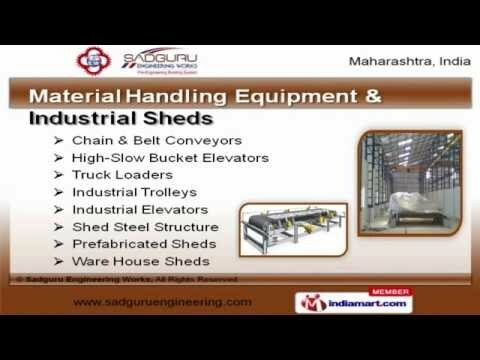 Our Material Handling Equipment and Industrial Sheds are well known for their durability. We have expertise in offering Pipe Line and Textile Machinery. We are a leading firm engaged in offering Heat Exchangers and Industrial Purlins. Our Industrial Fabrication, Erection and Project Works are a class apart.